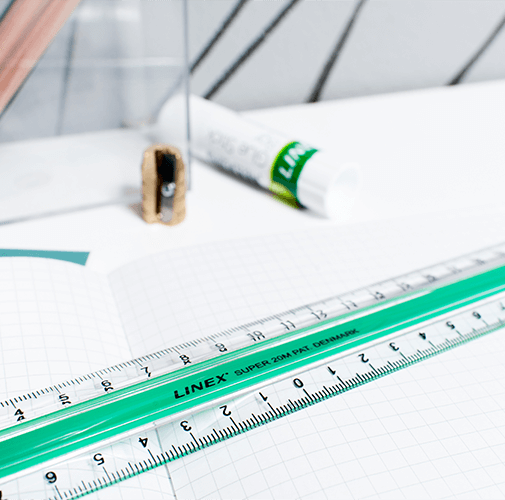 One of the best known Linex products is the legendary Super Ruler, which has achieved national and international recognition. Linex soon became known as one of the world’s leading suppliers of drawing articles. The Linex brand has always been synonymous with ultimate precision. Linex complies with ISO standards for drawing articles with regard to straightness, parallelism and precision. 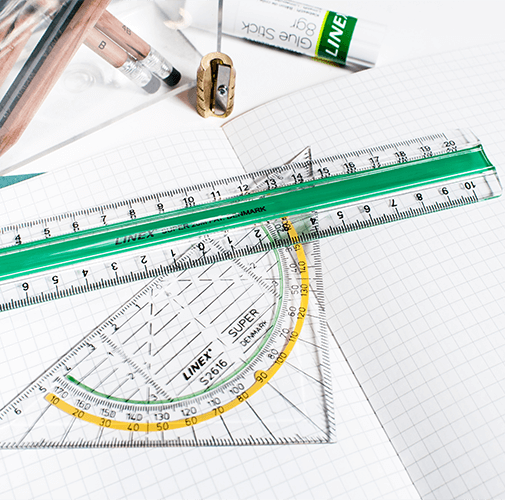 The history of Linex dates back to 1923, when Frede Duelund Nielsen, a Danish civil engineering student, began producing ship curves.Over the years, he expanded the range to include set squares and rulers. Linex was established as a company in 1935, and in the years following World War II, sales and exports increased steadily. Linex was acquired by Bantex A/S. The products are continuously tested against these standards to assure consumers maximum reliability when purchasing a Linex product. Linex works with a view to strengthening the performance of adults and children by merging learning, creativity and precision. Linex develops the most precise and user-friendly measuring and drawing tools to help and inspire consumers to create better results. 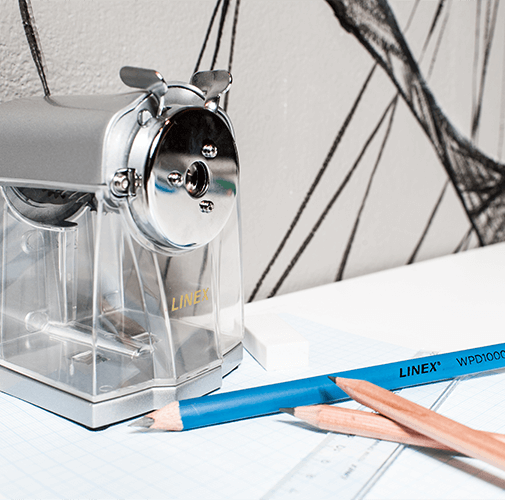 Today, Linex remains focused on providing a wide range of high-quality drawing, measuring and school tools. 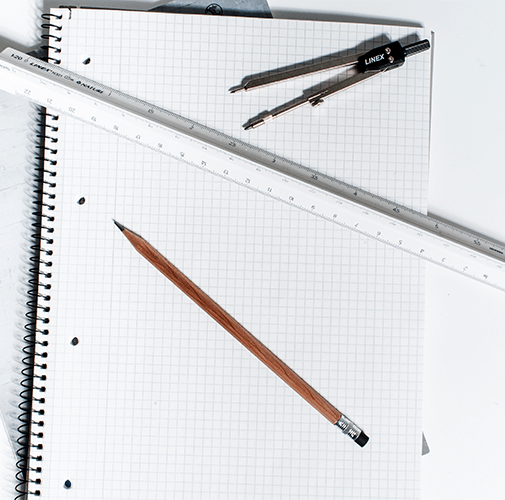 The range has everything from rubbers, set squares and rulers to cutters and hobby knives, cutting mats, nautical instruments and tape measures. 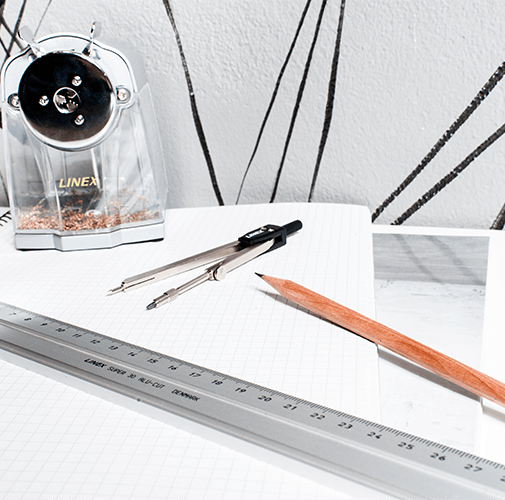 One of the best known Linex products is the legendary Super Ruler, which has achieved national and international recognition. 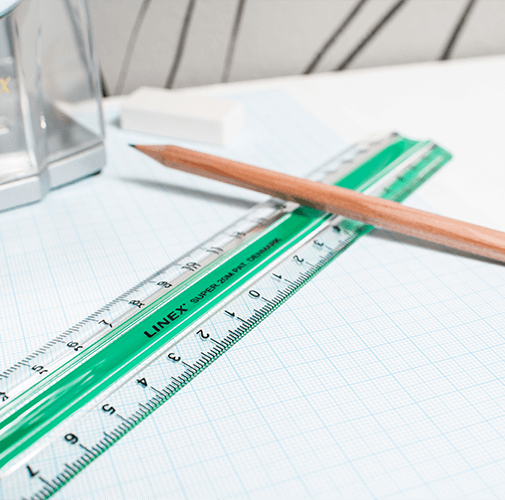 The Super Ruler has a unique non-slip function, which prevents it from sliding on the underlying surface with the application of light pressure. The latest development in the range is Active Learning, which has been designed to combine theory and practice and to help schoolchildren gain a better understanding of mathematics. Linex Active Learning makes learning fun.